Planning to tie the knot this year? 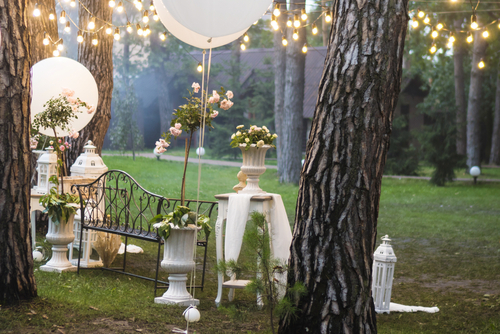 We’ve rounded up the top wedding trends for 2019 to help you organise your dream wedding ceremony and celebration. 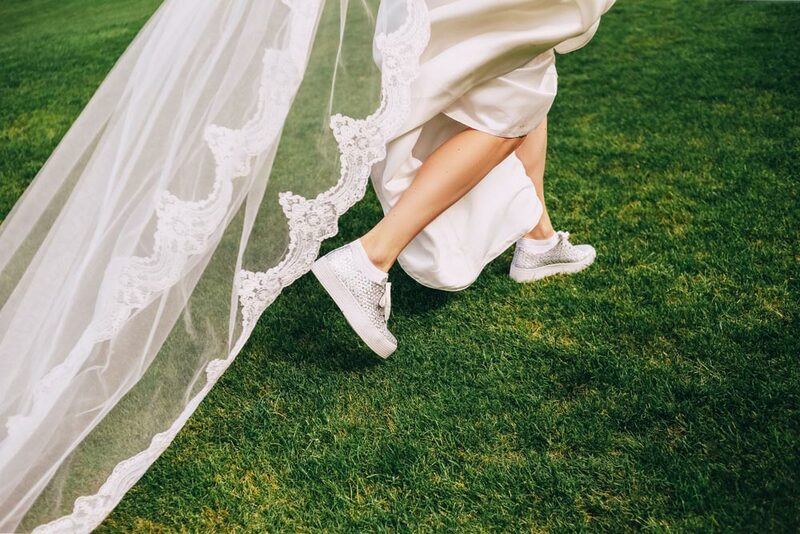 Your wedding day should be completely yours, down to your outfit! Forego the white dress for a chic jumpsuit or trousers if you’ll be more comfortable, or maybe ditch the heels for some crisp sneakers if you want to dance the night away. Can’t decide where to draw the line when it comes to inviting guests? Struggling to make your budget work for your lengthy guestlist? Found the perfect intimate venue space? An elopement-style wedding is the perfect way to throw a smaller celebration. A great way to stretch a small budget, and ensure everyone in attendance is truly close to your heart! If the environment is close to your heart, your wedding should reflect that too! 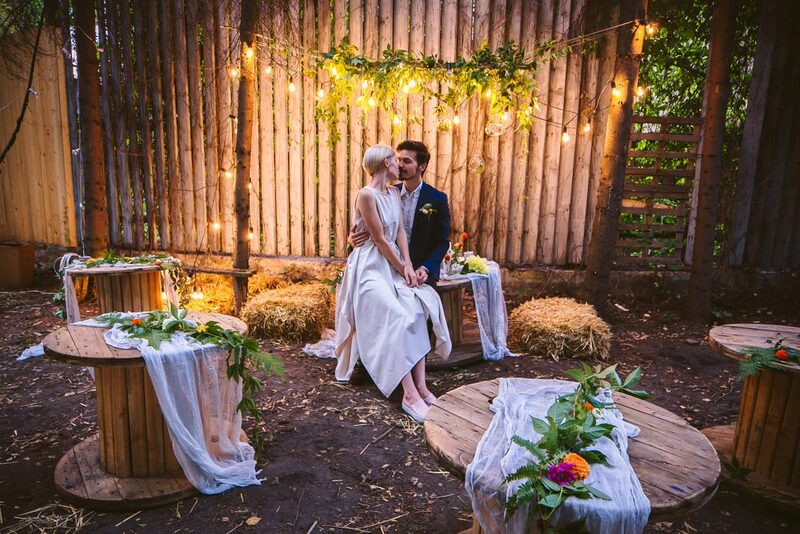 Sustainable packaging, organic and plant-based foods, low-output electrical systems, and responsible catering choices can all be utilised to design a wedding with minimal waste and a low environmental impact. 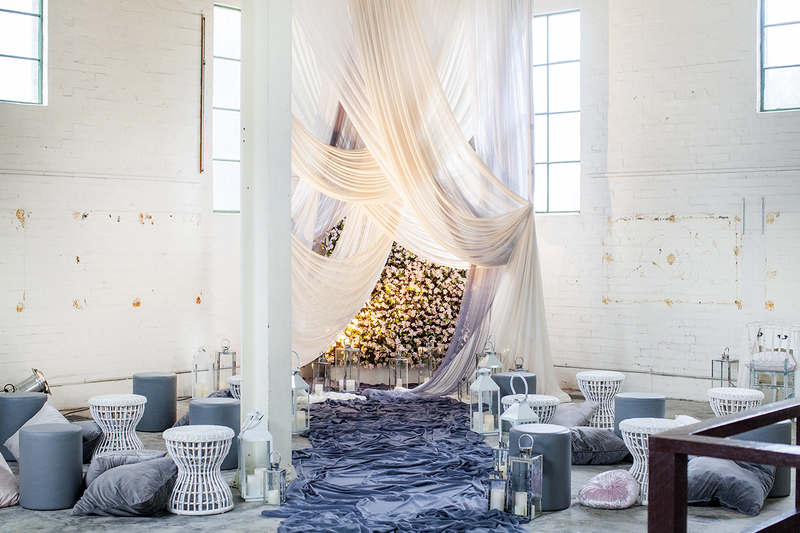 Think of it as a customised backdrop to match your wedding’s theme or styling! A wedding wall looks fab on Insta, and is a simple way to carry your theme beyond table centrepieces. 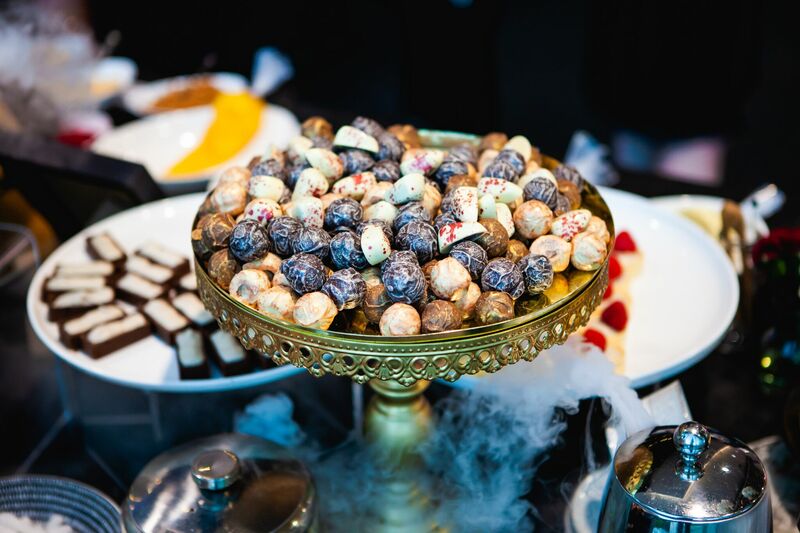 Keeping guests fed is an essential consideration of any event, and an interactive food station is an exciting and unique addition to your wedding plan! Guests can watch as chefs prepare dishes at different stations, making for a theatrical wedding dining experience. 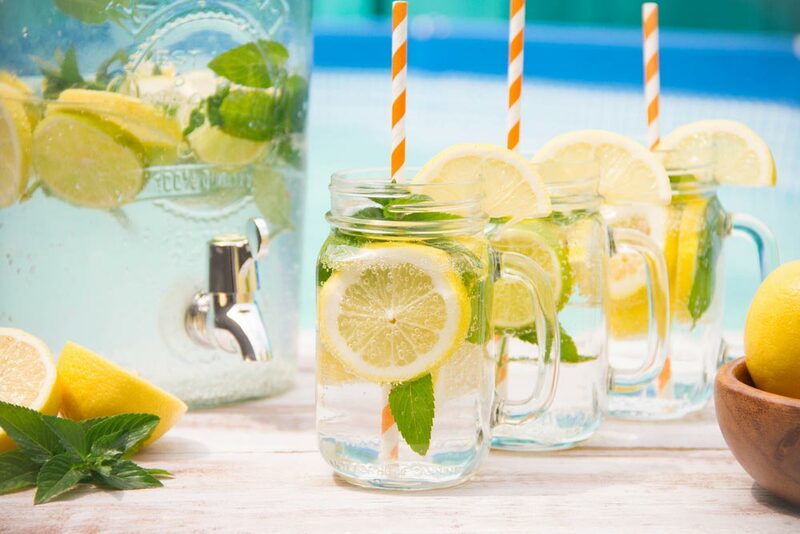 Equally as important as food is drinks! 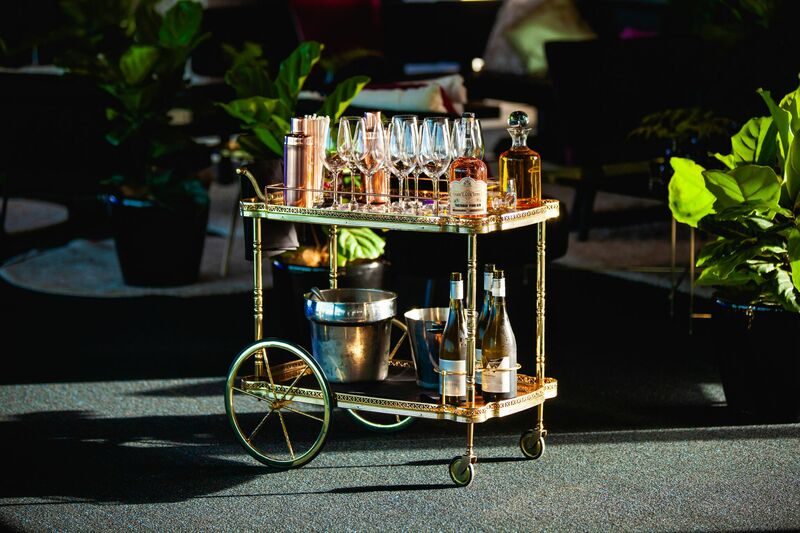 Let your guests celebrate your wedding with cocktail stations, at which they can select from boutique spirits and decadent garnishes to create their dream cocktail. While florals are the classic, mix up your wedding backdrop with balloons of different sizes! From the traditional wedding arch to a unique photo backdrop for wedding guests, balloon installations are a fun and striking decorative option. Pastel palettes are one of the top wedding trends for 2019! Soft pinks, peaches, and purples are especially popular, and suit rustic, traditional, and romantic wedding themes particularly well. 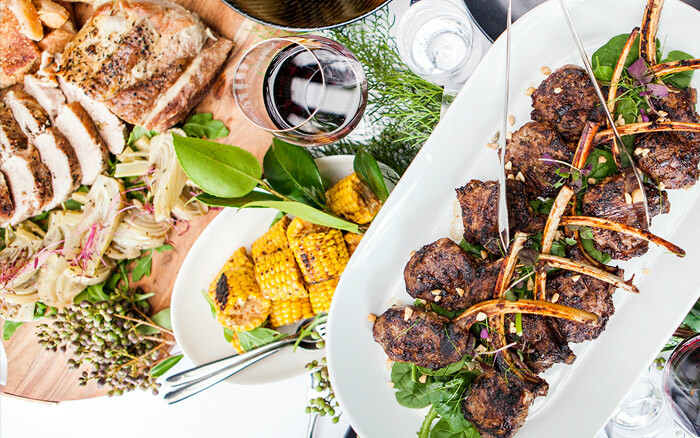 For a more casual and convivial dining option, consider offering up share plates for guests to decide how they dine. Rustic share plates piled with a variety of premium options make for a relaxed communal dining experience that suits everyone. 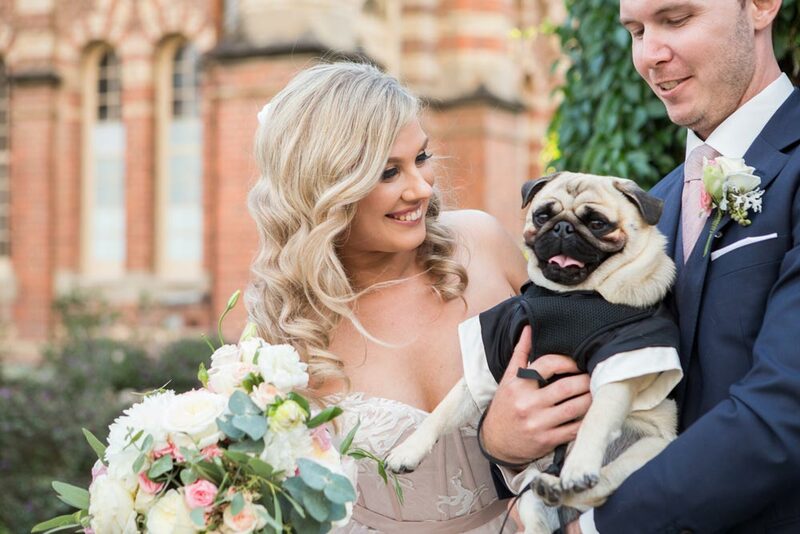 Your wedding should be about celebrating everything you love, including the animals in your life! Walk down the aisle with (grooms)man’s best friend by your side, and don’t forget the family portrait! 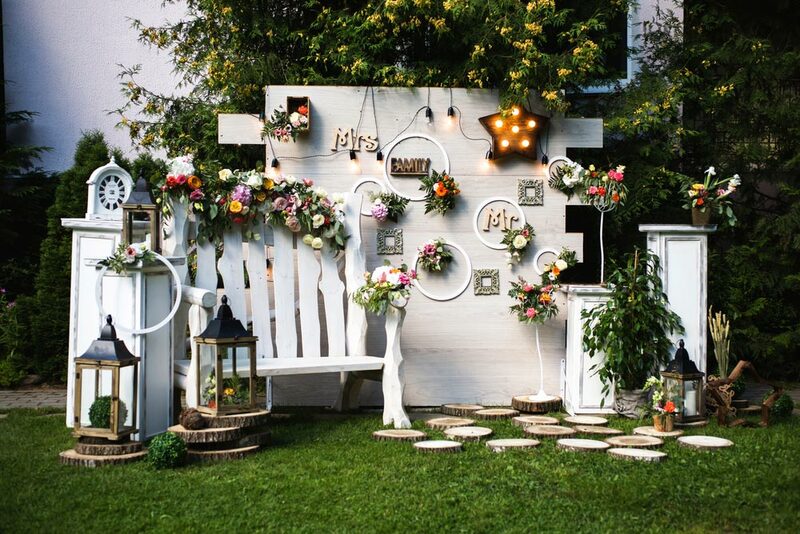 Keep guests entertained post-ceremony with giant games like Jenga, chess and puzzles! 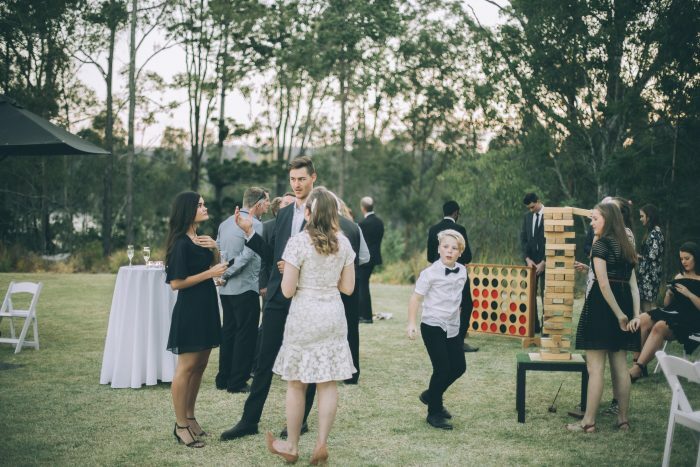 Giant games are a fun and quirky addition to your wedding entertainment, and are particularly well suited to reception venues with expansive outdoor spaces. 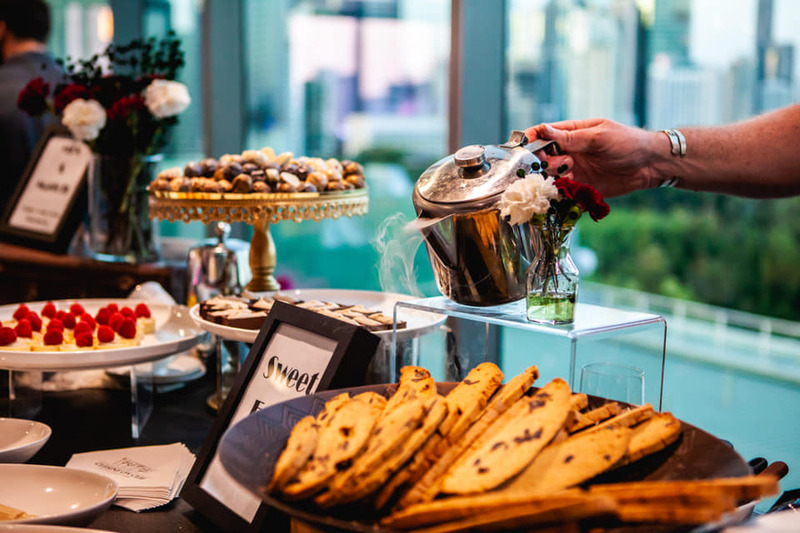 Another popular dining trend for 2019 weddings is progressive dining stations; offer guests canapes at one location, more substantial options at another, and desserts at their own dedicated station! Freedom from table settings makes dining easy and casual, and ensures every wedding guest gets exactly what they want. If you’d like help planning your wedding, contact the team at Cuisine on Cue!